Need a last-minute gift? 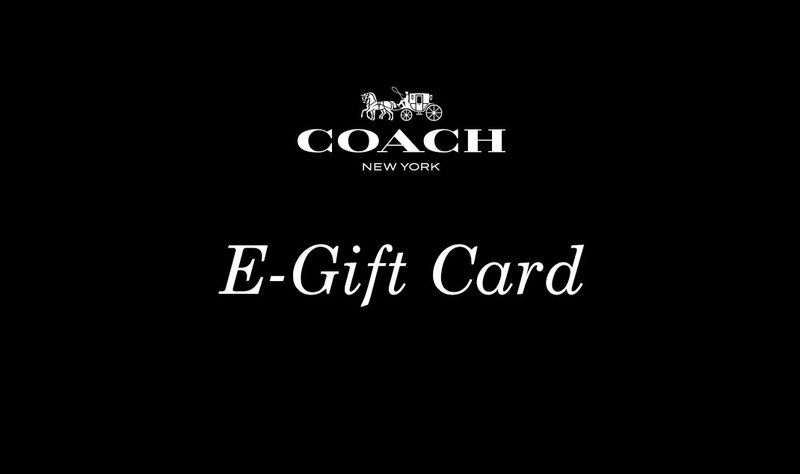 Coach E-gift cards are always available for purchase - send them instantly for perfectly timed delivery. Select the value of your E-Gift card. You can choose a pre-set value or enter your own desired value. Enter and confirm the recipient's email address. Confirmation of the E-Gift card purchase will be sent via email to the purchaser once the order is completed. To check your E-Gift card balance, simply login to your account. Send Gift Card to myself, I will send it to the recipient later on. This E-Gift Card can only be used online, not instore. For any questions about E-Gift Cards, please click here.